What are the options for Fulcrum date fields? Options for capturing dates in Fulcrum. 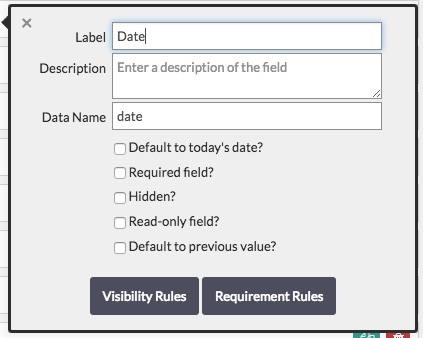 Date fields in Fulcrum can be required, hidden, read-only, and be set to default to the current date. You can also have the time field default to the previous value if needed. When editing records on the mobile device or the web, date fields let the user pick a date in a standardized format using a date picker entry control. By default, it has a button to select the current date, for more efficient data entry.